Have you often wondered why there are so many people that will opt to buy a used vehicle over a brand new vehicle? Well, the further that you look into the condition of a quality pre-owned vehicle and the price difference, you are sure to understand. The team at Carson Cars would like to show you all of the options that they have available when it comes to used Acura cars for sale in Snohomish County so that you can see for yourself. If you have always wanted to drive a vehicle that feels and looks expensive, yet it costs less than the typical luxury option, you are going to be happy with a used Acura. Whenever you buy an Acura, you are going to get all of the prestige that comes with owning a luxury vehicle without the high price tag. When you buy used through Carson Cars, you are going to be able to enjoy even more savings. The team of professionals at Carson Cars have a great deal of experience when it comes to helping buyers, just like yourself, to find the next newer vehicle of their dreams. If you have an idea of the Acura that you want to buy, simply call the sales department to inquire about current inventory. We will be happy to set you up with a time to come in and take the vehicle for a test drive so that you can hopefully fall in love and select your next vehicle to purchase. 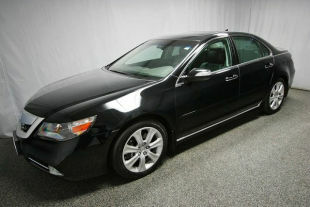 If you are interested in used Acura cars for sale in Snohomish County, Carson Cars has the best selection. Call (855)583-9356 or stop by for more information to buy the new to you vehicle of your dreams.